The oversized cat-shaped clock rising above the float is instantly recognizable. It is a Kit-Cat clock, complete with popping eyes, whiskers upturned over a smile, and, of course, a clock face on its chest. The cat’s coat is made up of black seaweed and onion seeds, and it is accented with white coconut chips. The jukebox below is mostly walnut shells and dried cranberry leaves, and the florescent garden covering much of the floats surface area contains thousands of roses, carnations, and red gerbera. 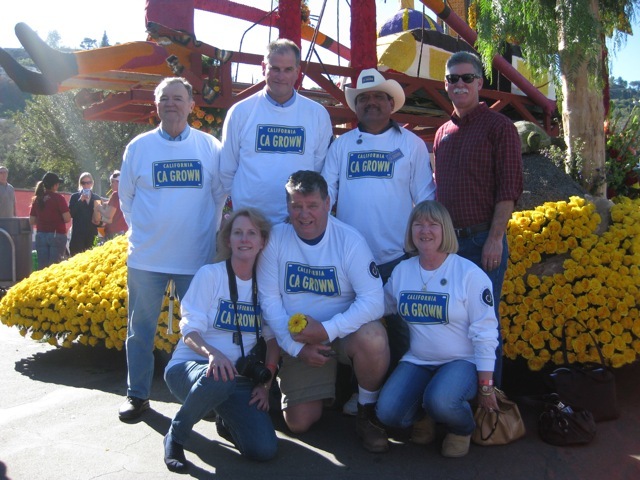 But there is one thing that distinguishes this float from all others in the Rose Parade: everything on it was grown here in California. Colombian farmers who receive subsidies from the U.S. to help combat the drug trade have proved especially problematic to our local cut flower industry. Now, 75 percent of the cut flowers in the U.S. come from Colombia, posing a major threat to the 10,000 jobs sustained by California’s cut flower industry, not to mention the $5.5 million it channels daily into California’s economy. The Colombian Free Trade Agreement, passed last October without a provision authorizing the Department of Agriculture to build a 200,000 square foot transportation hub for farmers in Carpenteria, the heart of California’s cut flower industry. This proposed depot, supported Lois Capps, was meant to help California farmers compete with their Colombian counterparts. Without it, California’s cut flower industry is in dire straits. The CCFC is doing all it can to promote awareness of this issue, and the “CA Grown” certification is their latest effort to promote local flowers.